Grandpa Walter James “Jim Sr.” Grebe took over operations in the 1950s. 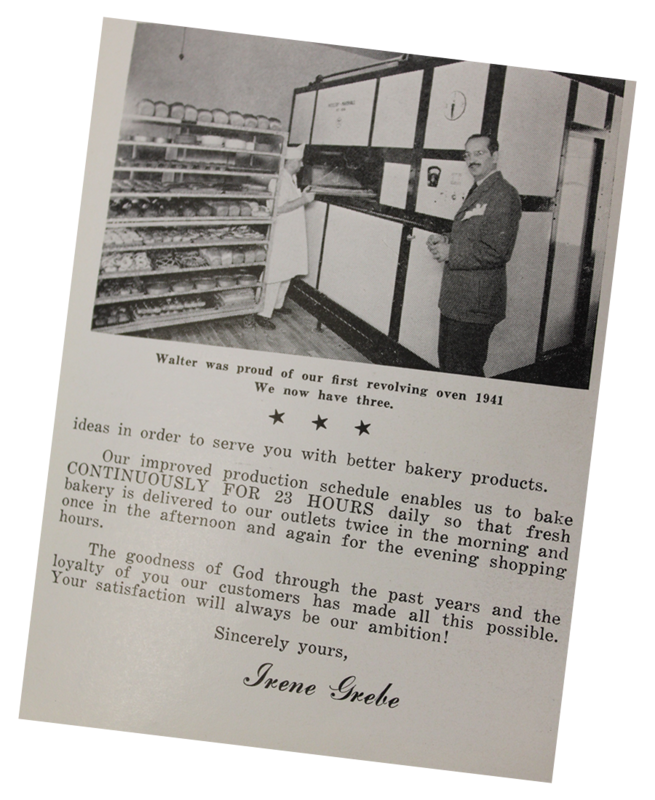 A man of great vision, he began selling Grebe’s products at wholesale to supermarkets throughout the area. In the 1980s, Jim Sr. broadened Grebe’s wholesale line to include convenience stores such as SuperAmerica and White Hen Pantry, and took over servicing additional customers when both Meurer’s and Kohl’s bakeries closed. Jim Sr. soon expanded further into a partnership with Ashland Oil, founded and operated Country Maid salad company and SuperMom’s in the Twin Cities, operated a distributorship for the Borden Dairy Co., and even offered a private catering company which serviced school, hospital, and manufacturing cafeterias, as well as banquet halls. 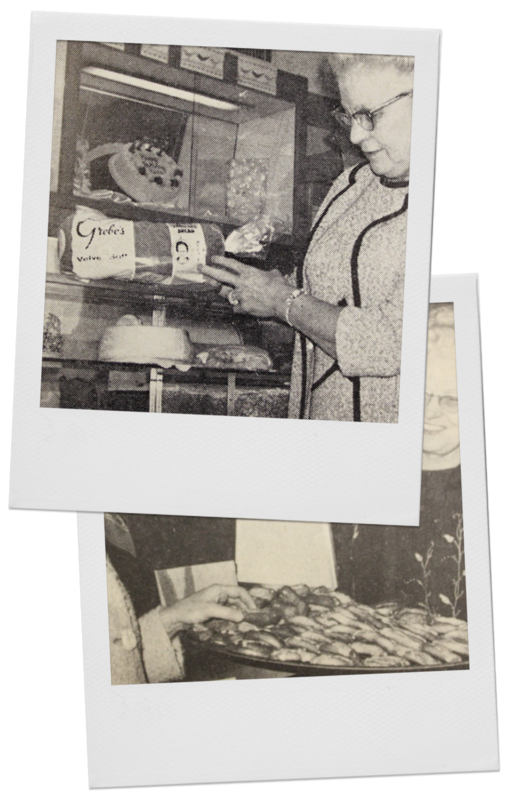 When Jim Sr. passed in 2002, his son, James Walter “Jim Jr.” Grebe, was named President & Owner of Grebe’s Bakery. When Crestwood Bakery closed its doors in 2004, Jim Jr. purchased the rights to produce Crestwood recipes under the Crestwood label, and Grebe’s began servicing Sentry Foods stores. Jim Jr. grew and maintained the business through January 20, 2016, when he passed away at the age of 57. 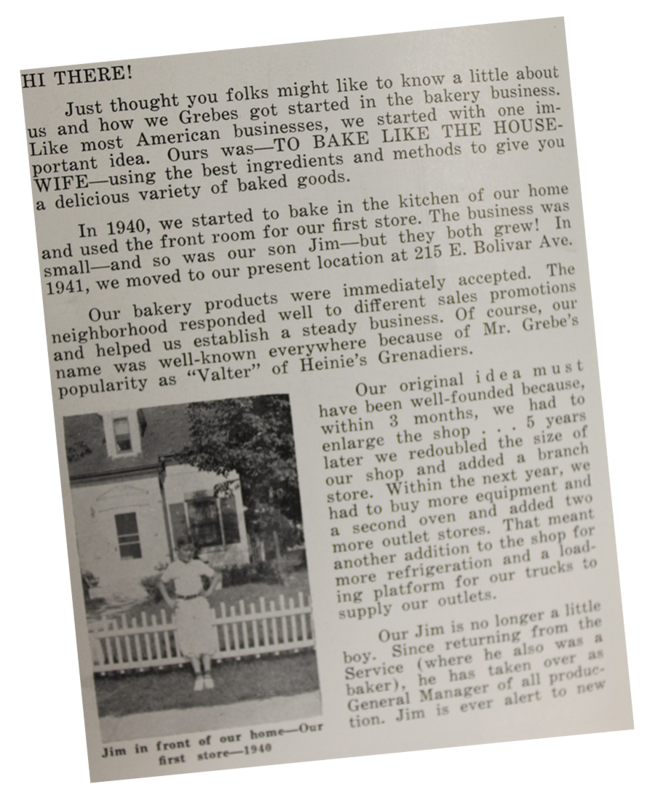 Jim’s legacy lives on through his sons - now the 4th generation co-owners of Grebe’s Bakery. Brandon Grebe, President, has partnered with The Bartolotta Group to offer Grebe’s Bakery at Downtown Kitchen inside downtown Milwaukee’s US Bank Building, as well as The Kitch within Kohl’s Corporate Headquarters. Colton Grebe, Vice President, completed his degree from the American Institute of Baking in 2017, and is currently overseeing operations at the bakery. Visit Grebe’s at the Wisconsin State Fair where the brothers operate the Miller Lite Sports Bar & Grill, Grebe’s Espresso Bar, and our newest location, Grebe’s Bakery & Coffee Bar, located in the Expo Center! The brothers’ mission is to continue on a path of controlled growth and to maintain the quality products and friendly customer service for which Grebe’s has been known for nearly 80 years. Find Grebe’s famous donuts and baked goods at your local Speedway, Piggly Wiggly, Sentry, Sendik’s, Woodman’s, or Open Pantry, in addition to many other locations throughout southeastern Wisconsin!